Customer experience stalwart and marketing veteran, Mark Reinke, is joining the advisory board of PwC’s growing CMO Advisory Practice. Reinke, formerly Suncorp’s group executive for customer, data and marketing, and chief customer experience officer, will take up the PwC role in July 2018. He recently left Suncorp, after 14 years in the business, in order to pursue fresh executive opportunities. PwC’s chief creative officer, Russel Howcroft, said Reinke’s appointment will add tremendous firepower to CMO’s offering. “Mark is one of the most respected senior marketing executives in Australia who understands the role marketing plays in the corporate growth agenda,” Howcroft said. Reinke first joined Suncorp in 2004 and became general manager of group marketing in 2005. He was then appointed executive general manager in 2008, group executive marketing in December 2013, and chief customer experience officer in March 2016, before moving to the role of advisor in October 2017. Prior to joining Suncorp, Reinke held senior marketing roles with Telstra. Reinke also spent 14 years with the BHP Group, including responsibility for development of new markets in the US and Mexico a range of senior roles responsible for profit and loss accountability in key Australian markets. Reinke was ranked #1 in the inaugural CMO50 list of Australia's most innovative and effective marketers in 2015. 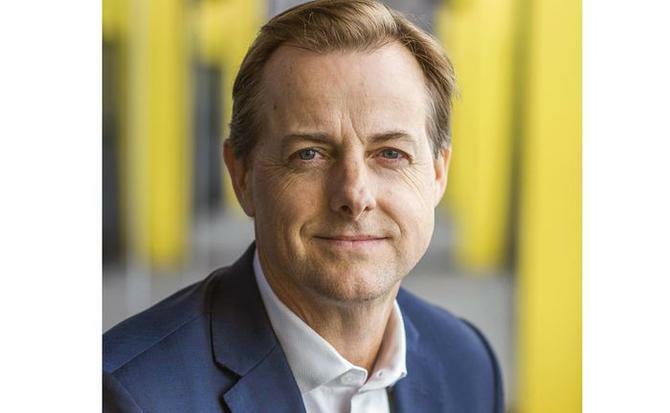 Howcroft said Reinke will bring expertise in the changing role of technology in marketing along with the management of multiple brands in the same portfolio, which has been a significant focus of his recent role at Suncorp. “The CMO Advisory Board has played an important role in our rapid growth, providing industry insights and a perspective on global marketing trends that are reshaping the CMO agenda," he said. “Being able to draw on the experience and expertise of the Board has ensured that the work we have been doing is both future focussed and is solving the most important challenges facing the marketing industry. PwC’s CMO Advisory focuses on the key areas of marketing, brand and media strategy, operations and structure and investment analysis and optimisation. “Since launching at the start of 2017, PwC's CMO Advisory has been engaged by some of Australia's leading businesses, advising on complex marketing issues,” Howcroft said. Speaking about his appointment, Reinke said he’s excited to work alongside a talented group of professionals at a time when marketing is pivotal to delivering earnings growth. The full advisory board to PwC’s CMO Advisory practice includes: Mark Reinke, PwC advisory board member; Mark Buckman, PwC advisory board member; Mike McGrath, PwC partner, CMO; Megan Brownlow, PwC partner, editor - PwC Australia’s Entertainment & Media Outlook; Russel Howcroft, PwC partner, chief creative officer; Lawrence Goldstone, PwC partner, The Difference; Justin Papps, director and head of PwC CMO Advisory; and Sunita Gloster, director, PwC CMO Advisory.